I totally forgot, or maybe didn’t even know in the first place, that Blake Lively and Anna Kendrick are in a movie together called A Simple Favour. They announced it last year when Paul Feig was confirmed to direct. It’s about two friends, Emily and Stephanie; Stephanie (Anna) is a mommy blogger and Emily goes missing and it sounds like, while trying to find her, Stephanie gets dark and twisty. 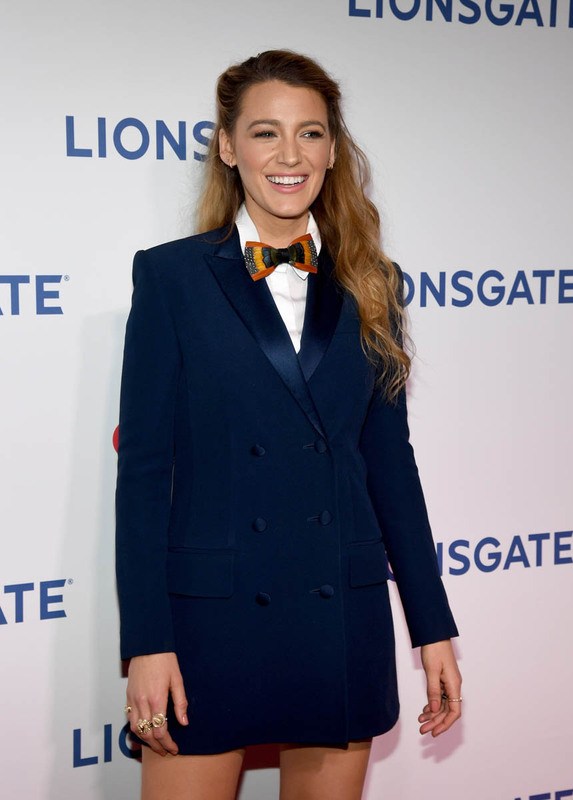 Both Anna and Blake were in Vegas at CinemaCon yesterday as part of the Lionsgate presentation. I’m curious about this onscreen chemistry. I’m curious about this off-screen chemistry too. Anna Kendrick is sharp. 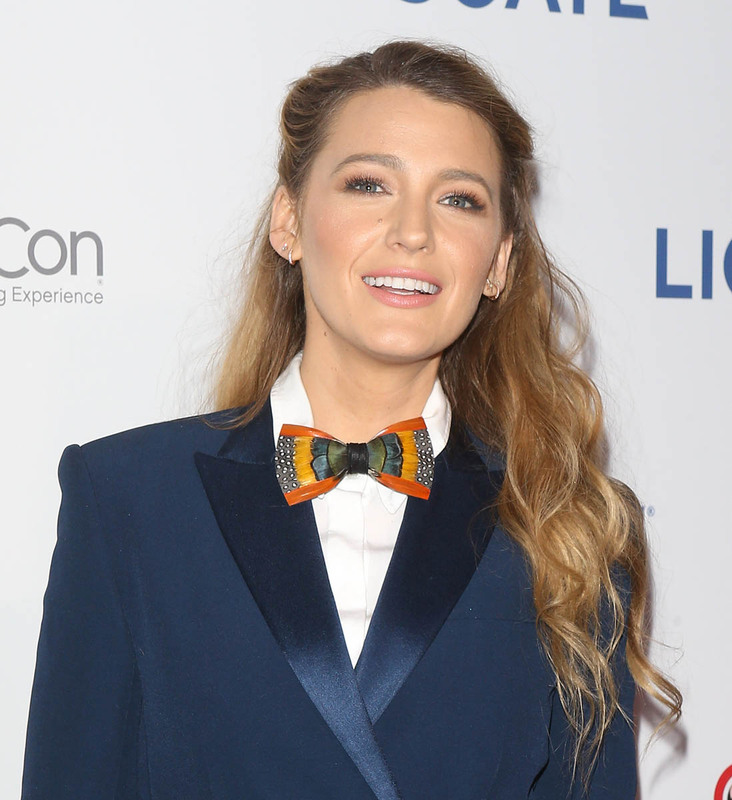 She’s goofy too…but her goofiness has an edge, while Blake’s goofiness is pretty earnest. 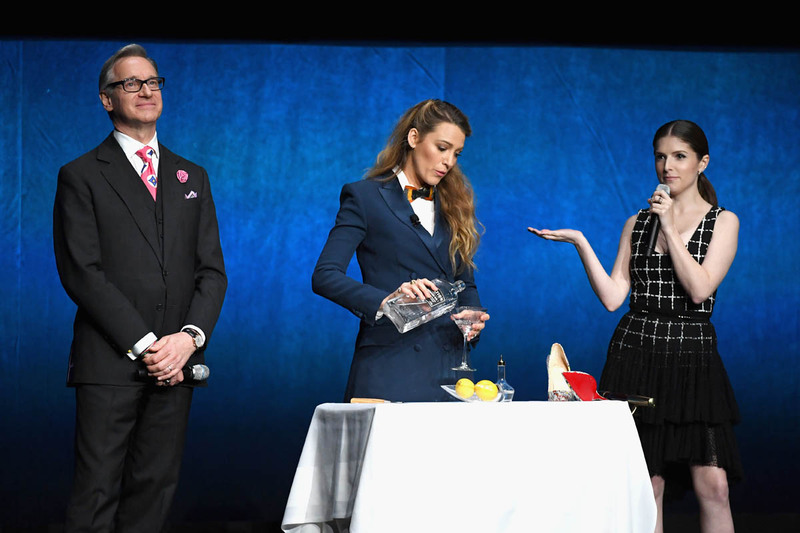 When they were onstage at CinemaCon, they did this bit that had them mixing a martini for Paul that ended up “poisoning” him. My Photo Assumption (our favourite game of unreliable baseless conclusions) on these shots is that Anna is the James Franco in this situation with Blake playing the part of Anne Hathaway. Let’s talk about these outfits. 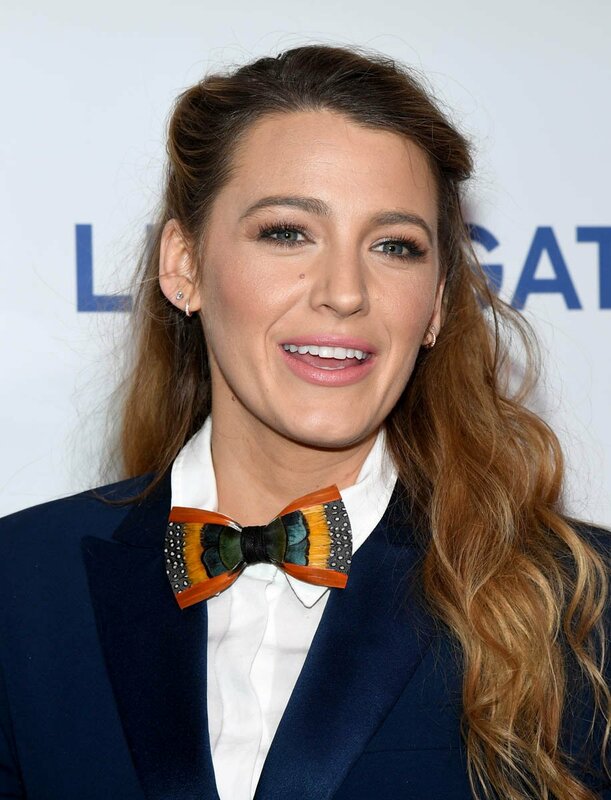 I quite like what Blake’s doing here with the blazer dress and the bow tie but I would have made a different decision with the hair. The texture is off. The pump game on both of them is strong though. These are two pairs of good pumps. You know who doesn’t do a good pump? Sarah Jessica Parker, her shoe line. I don’t like the shape of the toe. Amazing the difference a tiny detail can make. SJP’s pumps open up around the sides of the foot but not enough. If you want to open up, go across wide, to create an actual angle. Alice + Olivia’s Dina heel does this well. See how much better that is than SJP’s? And Alice + Olivia is a similar price point to SJP’s too. Not exactly cheap but more affordable than the Louboutins that Blake Lively is wearing. That said, if you’re looking for a pump recommendation, I have a really, really great one. And the price point is great. Full disclosure – this is my friend Marci Ien’s shoe line. 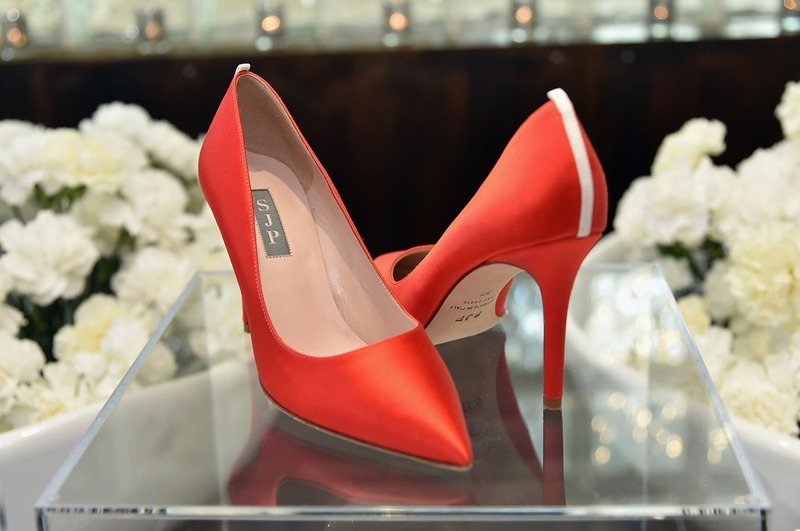 But as you’ll see from the pumps, that doesn’t make it any less of a perfect patent pump in three colours – red, black, and pale pink. Look at this sole. It’s South African leopard print. Good right? Now the toe on the Ien Lee line opens up slightly as well towards the sides like SJP but the difference here is that it’s balanced by a bit of a curve underneath and it’s a higher heel so you get a longer drawn-out line up the foot. Also they’re vegan leather if you’re into that. And at $150, they’re half the price of SJP and Alice + Olivia so practically free compared to Louboutins.